Steel Trench Shields - Badger Daylighting™ - Shoring and Trenching Products serving Edmonton, Alberta & Western Canada. 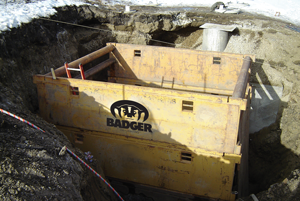 Badger inventories larger steel trench shields constructed for durability and strength. 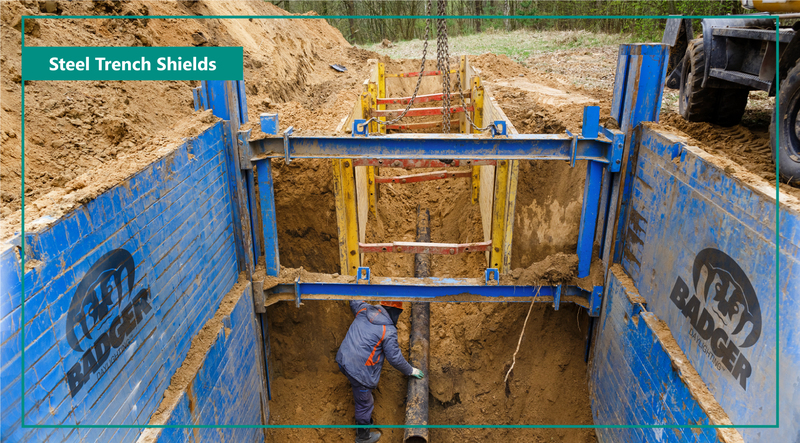 These systems provide longer spans of support and protection for walls within the excavation. Badger cages come in 4, 6 and 8-foot high panels in lengths of 8 to 30 feet – Widths are adjustable from 2 feet to 20 feet depending on soil composition.